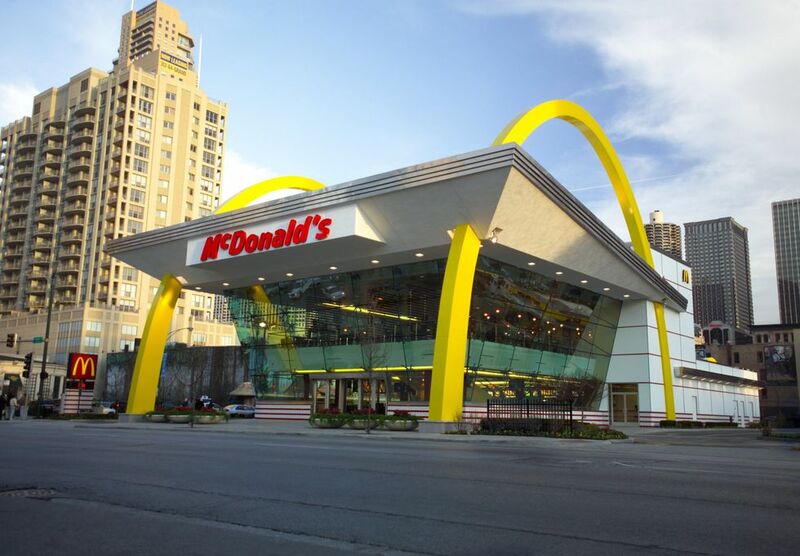 Earlier this month, a McDonald’s flagship re-opened in Chicago’s North Loop with a whole new look and a taste of the future to come. The newly designed store is reflective of a company wide “Experience of the Future” initiative aimed at elevating fast food dining. Think touch screen kiosks, table service, and an expanded cafe. “We’re trying to move away from the old, cheap, plasticky, in-your-face fast food culture,” said David Vilkama, McDonald’s global creative director. 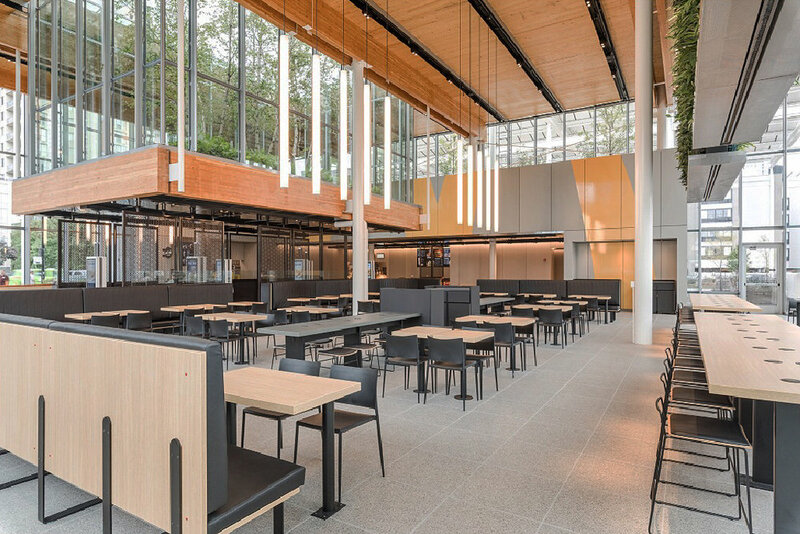 With this new direction, you won't see much of the Golden Arches as the company intends to upgrade and renovate a majority of its free-standing restaurants by the end of 2020 with what CEO Steve Easterbrook calls an "understated confidence". Before, the Rock n Roll themed McDonald's. Courtesy McDonald's. The flagship, designed by Chicago architects Carol Ross Barney resembles more of a modernist, Miesian pavilion than a hamburger stand. It opened August 9th, took thirteen months from concept to completion, and is made from steel, glass, and cross laminated timber (CLT). The roof exterior is covered in solar panels and includes a cutout where a dropped down living garden hangs. The space is beautiful and a welcomed upgrade to the thirty year-old rock n roll restaurant-museum that once stood in it's place, but I have to wonder, does it achieves any more than being another beautiful building in a city full of eye catching architecture. Can McDonald's become the progressive and modern burger company it wants to become? Time will tell.